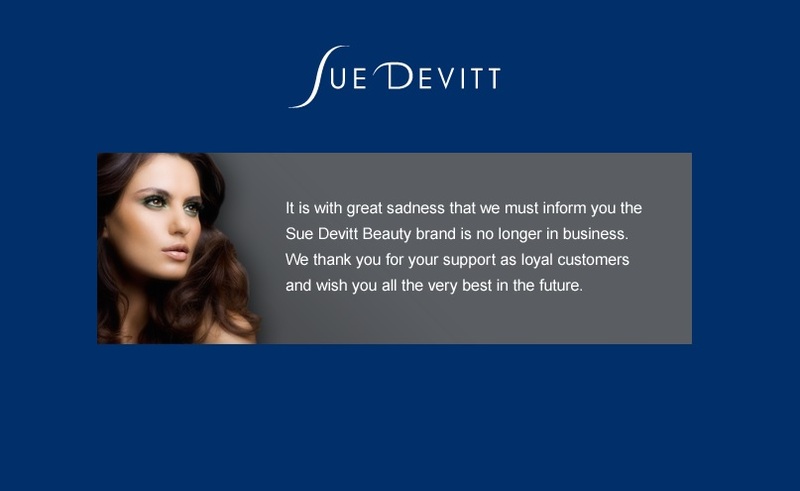 If you go to suedevittbeauty.com, you'll find the following message about the brand no longer being in business. Having worked at Sue Devitt Beauty, several of her beauty products had quickly become favorites of mine, from the Triple C-Weed Whipped Foundation, Eye Intensifer Pencils and Electric Sheen Eye Shadows, to the Lip Enhancing Glosses and Balanced Matte Lipsticks. Working there really got me more involved in cosmetics and the beauty industry, so it's sad to say farewell to the brand. If you want to get the last of your favorite Sue Devitt Beauty products, you can find them at barneys.com or macys.com.